Improving pupil outcomes is at the heart of our work we do in schools. We help students decide if higher education is right for them, while focusing on attainment-raising and character-education. Prepare programme for post-16 learners. 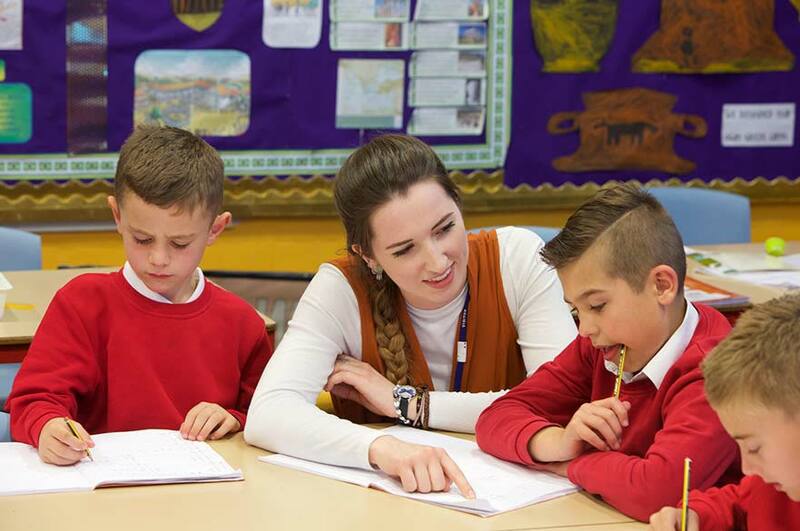 The primary school provision, the NTU Discover Programme, is aimed at Year 5 and 6 and includes an introduction to higher education and student life then concludes with a visit to the NTU campus. We invite parents and carers to attend our family events, such as Exploring University Together. In secondary schools, the NTU Achieve Programme has a twofold focus. In Years 7 and 8, it builds on the primary Discover Programme, with more information about higher education and student life. We deliver further sessions in Years 9, 10 and 11 with an attainment-raising focus giving your pupils the best opportunity to achieve the grades at GCSE or BTEC needed to go to university. Parents and carers will be invited to join us at key transition and decision points for family learning events. Our post-16 provision, the NTU Prepare Programme, develops the skills for success introduced in Years 9, 10 and 11 as well as providing support during the process of application to university. Parent and carer engagement is encouraged throughout these two years. CenSCE aims to support your pupils in each of these three programmes of intervention by engaging with NTU students in their classrooms through the Students in Classrooms schemes. The students involved in these schemes are role models for your pupils and will help them consider how university might play a part in their future. We appreciate that higher education is a choice and our programmes support your pupils in the decision making process throughout their learning journey, allowing participants to make informed choices about their own future. Our provision specifically targets young people from disadvantaged backgrounds and is free for your pupils. To check your school’s eligibility, please get in touch with your Stakeholder Engagement Coordinator or school contact. Otherwise, please contact us.